Initial experience with one of the nation’s first mobile stroke treatment units shows significant reductions in time to imaging and tPA use for ischemic stroke patients. Not long ago, Cleveland Clinic’s Cerebrovascular Center faced a challenge that vexes stroke centers nationwide. Despite years of efforts to trim the time it takes to deliver potentially lifesaving tissue plasminogen activator (tPA) to ischemic stroke patients, rates of tPA delivery in the ER within the optimal three-hour window after symptom onset had plateaued at 17 percent. Dr. Rasmussen and colleagues had heard of a novel ambulance-like “mobile stroke unit” being used by a teaching hospital in Homburg, Germany, to shorten the time from stroke symptom onset to management, so they visited Germany in 2013 to check it out. They were so impressed that the Cerebrovascular Center developed plans for Cleveland Clinic’s own mobile stroke treatment unit (MSTU), which they were able to realize when dedicated donor funding became available in 2014. When it began operations in July 2014, Cleveland Clinic’s MSTU became one of the first such units in the United States. It houses a portable CT scanner and a briefcase-sized telemedicine unit that enables— via a 4G broadband link — rapid transfer of brain scans and videoconferencing with a neuroradiologist and a stroke specialist on Cleveland Clinic’s main campus. An onboard mobile lab allows testing of blood samples and immediate administration of tPA to those patients for whom it’s indicated (based on the CT findings and videoconference). The MSTU is staffed by a paramedic, a critical care nurse (who administers treatment), a CT technologist and an EMS driver, all specially trained in acute stroke care delivery. The approach allows the specialist physicians on the other end of the broadband video link to determine whether the patient is indeed having a stroke — and, critically, whether it is an ischemic or hemorrhagic event, which determines whether or not tPA is indicated. As a result, crucial steps in stroke diagnosis and treatment can be accomplished at the site of stroke onset or while the patient is en route to the hospital, slashing intervention times for a condition where time equals brain. The MSTU is based at Cleveland Clinic’s main campus and dispatched (along with a standard ambulance) via the city of Cleveland’s 9-1-1 system in cases of suspected stroke. When a stroke is diagnosed, the MSTU will transport the patient to the nearest Primary Stroke Center or Comprehensive Stroke Center. “We’re essentially bringing the emergency room to the patient,” says Dr. Rasmussen. He notes that the use of telemedicine to allow neurologists to manage the case remotely, rather than on board the MSTU, was a Cleveland Clinic adaptation of the initial German model of the mobile unit. In its first four months of operation, the MSTU transported more than 100 stroke patients to a total of 12 healthcare facilities across the greater Cleveland area. None of these patients had to be transferred to another facility, reducing unnecessary and expensive hospital transfers. But the biggest benefit has been more timely patient management, as suggested by data presented in February at the American Stroke Association’s International Stroke Conference 2015. 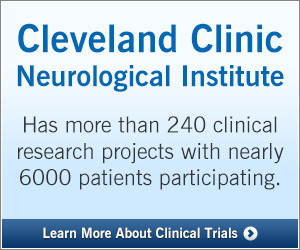 The data were from the first three weeks after the launch of Cleveland Clinic’s MSTU last summer, during which time 23 patients were treated in the MSTU, reported M. Shazam Hussain, MD, Head of Cleveland Clinic’s Stroke Program. Notably, a higher rate of tPA use was achieved in the MSTU group than in the control group (26 percent vs. 14 percent). “In light of how critical time is in the treatment of stroke, the use of mobile stroke treatment units to provide pre-hospital evaluation and treatment should revolutionize the care of stroke patients,” said Dr. Hussain. The results he reported are part of an ongoing study of a larger sample of experience with the MSTU, and future studies are planned to evaluate the unit’s effects on patient outcomes. Although the MSTU initiative requires substantial investment — the mobile unit itself cost nearly $1 million, and it takes about $1 million a year to staff — Dr. Rasmussen anticipates it will save between $2 million and $4 million in its first year of operation, through savings in rehabilitation, long-term care and other aspects of post-acute stroke therapy.